Welcome to the PACK 210 Website! Most pack meetings are held monthly at the Walnut Acres multi-use room. See Calendar for specific dates and locations of all pack meetings! Recruitment Night to meet the leaders and they will answer any questions you may have about scouting! Boys and girls in grades K thru 5th are all welcome to join. The first pack meeting of the year will be held at the Walnut Acres Elementary School MUR on Wednesday, September 19th from 6:45 to 8:00. This will be a chance for the scouts to get together again and have some fun. We will also be asking for the parents to sign up for helping with the pack events through out the year. PLEASE NOTE: DO NOT USE THE LOGIN AT THE TOP OF THE PAGE. 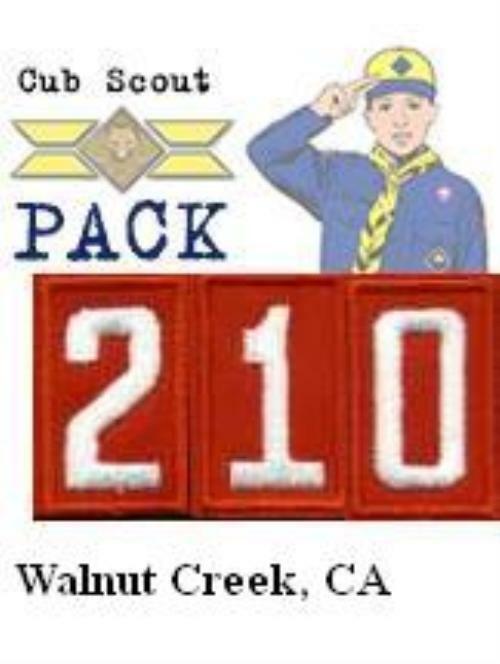 Pack 210 uses Scout Track to facilitate pack communications and scout achievements. Please click here to Login to Scout Track.